Colby College President David Greene walked by one of the buildings the school has purchased in downtown Waterville, Maine. WATERVILLE, Maine — Vacancies outnumber tenants on Main Street. Graffiti mars the brick and stone on once-proud Victorian buildings. And much of the traffic, which used to teem with shoppers, barrels through downtown on its way to someplace else. 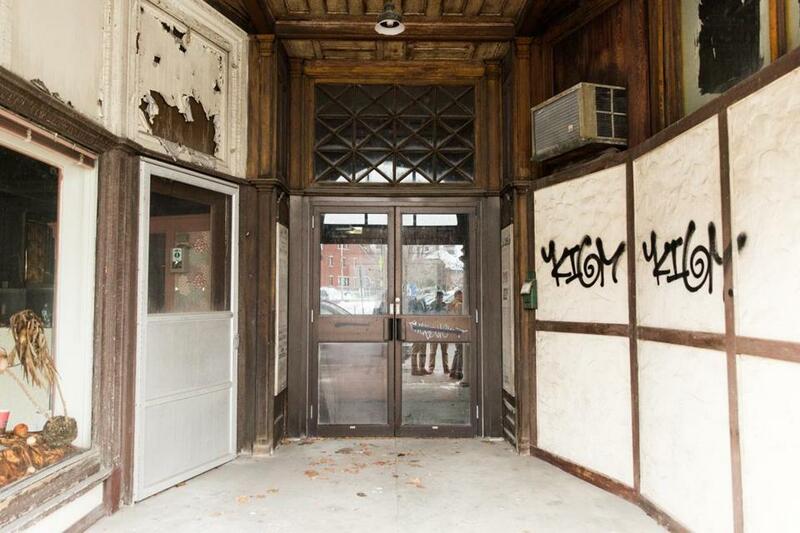 Mayor Nick Isgro does not pinpoint a specific date when Waterville hit bottom. Instead, he said, this blue-collar city has been near there for 20 years, a casualty of the job drain that has ravaged mill towns throughout New England. But something is stirring on the banks of the Kennebec River, where a hard-charging newcomer has joined Isgro and other leaders to invigorate a mid-Maine community where the future did not look different from the sputtering present. That newcomer is David Greene, the president of Colby College, who is reconnecting the liberal-arts institution with its host city in practical and intangible ways that are designed to benefit both. Long viewed by many residents as detached and aloof — the 203-year-old college sits atop a hill two miles from downtown — Colby is buying distressed properties on Main Street, hoping to build a dormitory there, and talking about creating a fund to provide loans and grants to small businesses. “Once we get things moving, a lot of other dominoes will fall,” predicted Greene, who took office in 2014. Experience has reinforced that expectation. 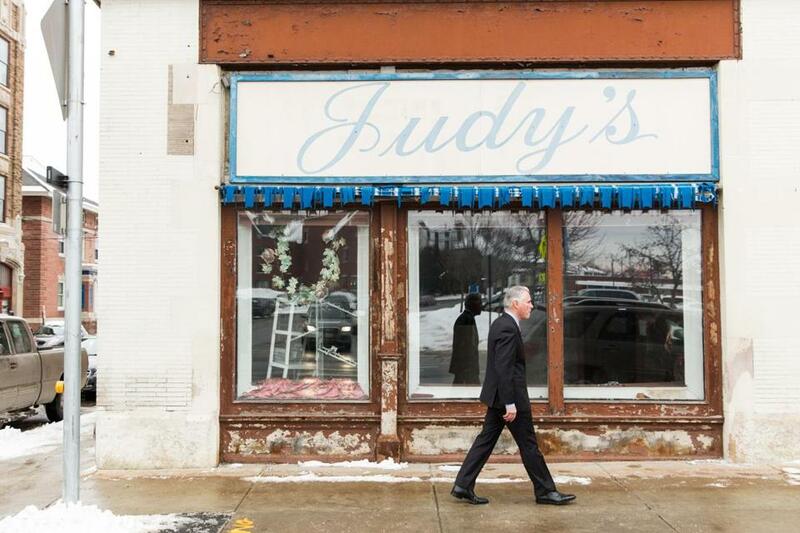 As executive vice president at the University of Chicago, Greene helped develop a plan to make over part of that city’s Hyde Park neighborhood. When Greene began examining Waterville’s potential, he brought in the same New York firm hired by the University of Chicago. “There aren’t many great cities that don’t have a great core,” Greene said. Although momentum had been building to remake Waterville, City Manager Mike Roy said Colby kicked the pace into a higher gear. 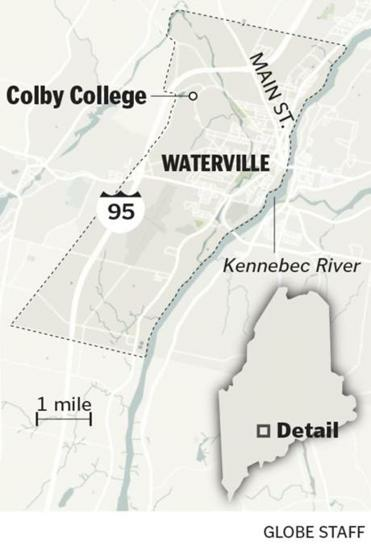 And the college’s feet-first entry into Waterville’s latest renewal project — others could not overcome the loss of four mills and thousands of jobs — has taken some residents by surprise. Charlie Giguere, a Waterville fixture who renovated a key downtown building, recalled a past when “we were the townies, they were the students, and there wasn’t much integration.” Although Colby students would travel downtown for a pizza and a beer, not much else could make them linger. Now, the college is the largest property owner on Main Street. Colby has bought five buildings downtown, some in decrepit condition, for a total of $1.3 million in the last several months. Greene said the acquisitions will not be permanent, but are intended instead to be a catalyst for revival. The investment has begun to pay off. A software design and development firm, Collaborative Consulting of Burlington, Mass., is expanding to Waterville. The company had all but chosen Bangor for its expansion, but Greene — relentlessly and effectively — persuaded the firm to reconsider, said William Robichaud Sr., founder and president of Collaborative. “He did not accept no. He really, really released the hounds on me,” Robichaud added with a laugh. A small number of Collaborative employees have begun moving into the former sprawling Hathaway mill, now a mix of high-end residences and commercial space. Company officials hope to have 200 good-paying, high-tech jobs in Waterville within five years. 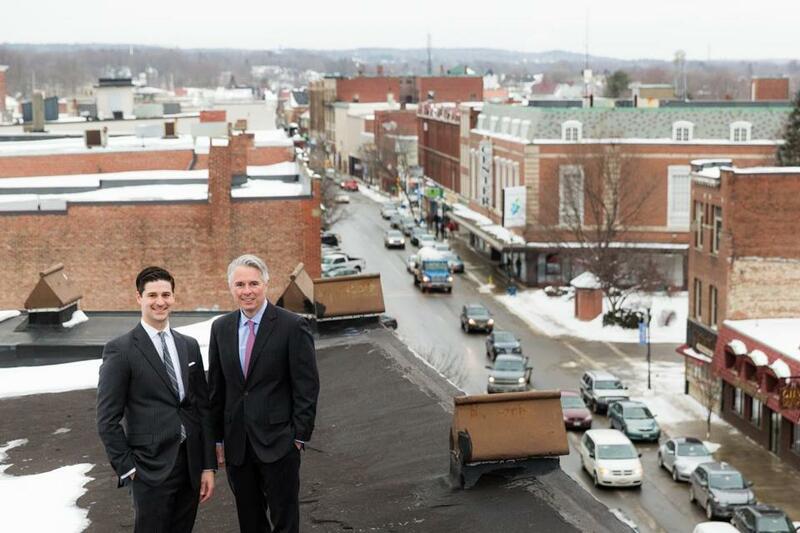 Waterville Mayor Nick Isgro (left) and Colby College President David Greene. Collaborative also plans to work closely with Colby, as well as with Thomas College and Kennebec Valley Community College, Robichaud said. He foresees an innovation lab, internships, and using college facilities for training courses. To Greene, these efforts are a win-win: If this small city of 16,000 bounces back, Colby should become more attractive to prospective students. Along the way, Greene said, Colby will be strengthening its ties to downtown, where the college was located for more than a century. New connections will include the proposed Main Street dormitory, where an estimated 150 students will be required to give back to the community by volunteering at the homeless shelter, for example, or by mentoring students. Isgro, the mayor, said the city’s latest reboot has more than hope going for it. The 810-seat Opera House, built in 1902, received a $4.5 million facelift. The Maine Film Center, based in Waterville, runs the state’s largest film festival. And the Colby College Museum of Art is a cultural destination. Elsewhere in downtown, business leaders are not only talking about the future, they’re investing in it. Bill Mitchell, who owns an insurance agency near City Hall and is the former senator’s nephew, recently bought two buildings, including a landmark block from 1890. Despite the gains, the city has a marathon to run. It is not Portland, and recovering the jobs it has lost will take years — if not decades, if at all. Still, there is a buzz. “There’s a sense of optimism that I haven’t experienced in a lot of years,” said Isgro, 34, a first-term Republican who lives in the house his grandfather built. That sense was echoed by Michelle Cyr, a lifelong Waterville resident who sat inside an empty pet-supply store on Main Street. The crumbling facade of the Hains Building, which was recently purchased by Colby College.